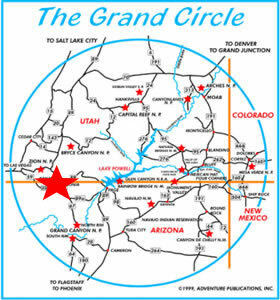 The town of Kanab is located along scenic highway 89 in the Grand Circle of National Parks and Monuments. Surrounded on all sides by mountain views, slot canyons, colorful cliffs and the endless blue sky, Kanab is quite the outdoor wonderland. Kanab is blessed with over 250 days of sunshine per year and has a reputation as “Little Hollywood” because of all the tv and movie filming that has taken place over the years. The town was settled in 1864 by Mormon pioneers however local Indian attacks persuaded the townspeople to leave only two years later. It was re-settled with the guidance of Brigham Young in the 1870s and still has a few of the original architecture dating back the 1890s. 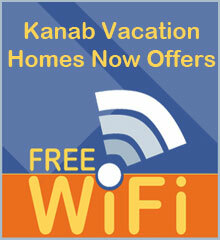 Some of Kanab’s most famous residens are Jacob Hamblin and Levi Stewart. Zane Grey, a western novelist lived in Kanab while he wrote Purple Sage in 1912. 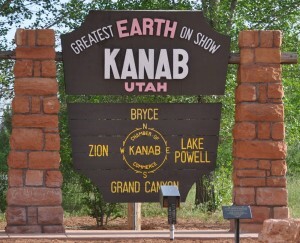 After the TV and Film studios discovered Kanab, it really made its mark. 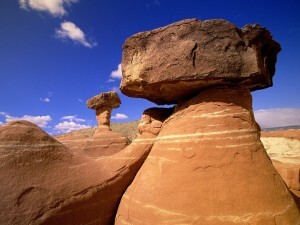 Shows like the Lone Ranger, Gunsmoke, Planet of the Apes, Flintstones, and many others have all been filmed in the area. Take a visit to the local Little Hollywood Movie Museum and the Frontier Movie Town if you want to see all the great history of film and TV in the area. There are many remnants of old movie sets all around the city that you can still visit today. 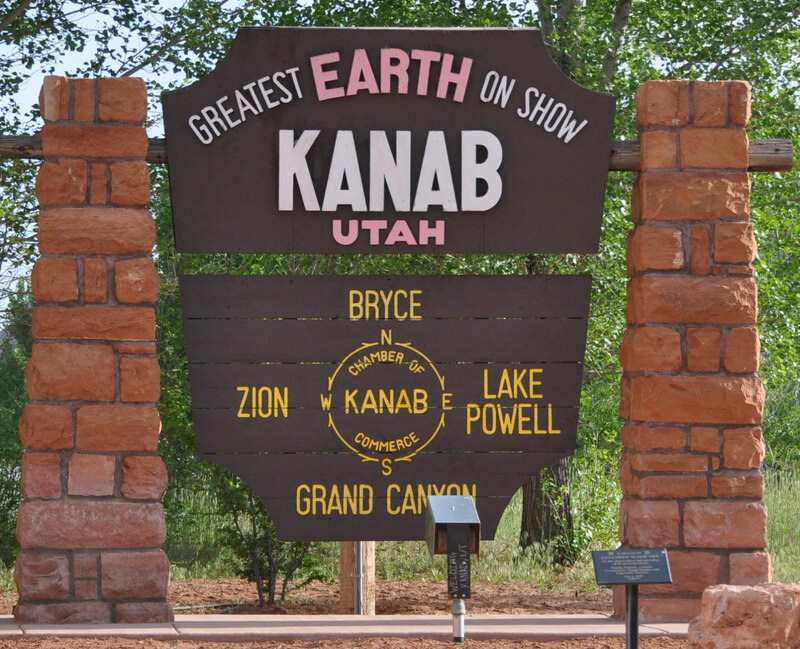 The little town of Kanab has much more than you would think, including a 9 hole golfcourse, movie theater, and of course lots of restaurants and shops to keep you busy and full. The nearby Grand Staircaase-Escalante National Monument is just up the highway where you can visit the visitor center located right in town.There is also ATV rides, horse rides and of sourse endless miles of hiking and mountain biking trails everywhere. Kanab is the gateway to Grand Staircase Escalante National Monument and centrally located to major outdoor attractions such as Zion National Park (40 miles west), Bryce Canyon National Park (70 miles north), the Grand Canyon North Rim (80 miles south), and Lake Powell/Glen Canyon National Recreation Area (60 miles east). Cedar Breaks National Monument, Coral Pink Sand Dunes State Park, Kodachrome Basin State Park, Grosvenor Arch, Cottonwood Canyon, Bull Valley Gorge, Buckskin Gulch, and Pipe Springs National Monument in Arizona are also easy day trips within reach of Kanab and Cave Lakes Canyon. Did you know that millions of pets end up in shelters every year and that 4 million of these pets are killed each year just in American pet shelters? 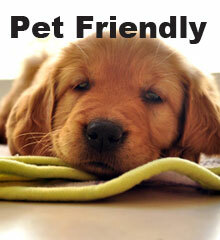 The Best Friends Animal Society, located in Kanab has made a mission to help this tragic statistic with a “No-Kill” movement. When they began 30 years ago, there were 17 million pets dying in our nation’s shelters, and now that number is greatly reduced. 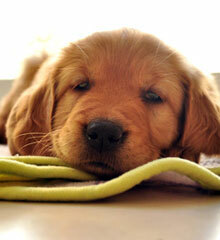 The society now has a mission of “No More homeless Pets” and teams with shelters, cities and governments across the country. By participating in one of the initiatives, you can save lives, and help make our shared dream of No More Homeless Pets a reality. Come visit the society and see first hand what a great and successful program this is and how it truly makes a difference in the lives of millins of pets across the country. They are always looking for volunteers! The Grand Staircase-Escalante National Monument is one of Kanab’s closest parks, in fact the visitor center is actually located right in Kanab. The Grand Staircase-Escalante National Monument is a vast tract of land (1.7 million acres) that connects Glen Canyon National Recreation Area with Capitol Reef and Bryce Canyon National Parks. The nation’s newest monument is largely desert wilderness. Hike the canyons, view wildlife, explore and photograph the remote areas. Lake Powell, in Glen Canyon National Recreation Area, is one of the world’s most incredible places for houseboating! The lake offers sandy beaches, cool blue water, and exceptional red-rock scenery and is 186 miles long. It is excellent for boating, skiing, kayaking and fishing. Boat or hike to Rainbow Bridge, or explore any of its many canyons or sand dunes. With a shoreline longer than the whole western coast of the continental United States, Lake Powell offers adventure for everyone. What is more scenic than the Grand Canyon, well not much. The less visited and cooler North Rim of the Grand Canyon is justa short drive from Kanab. Lots of hikes, scenic drives and vast canyon views are there to enjoy. Please note that the North Rim is closed during the winter months. 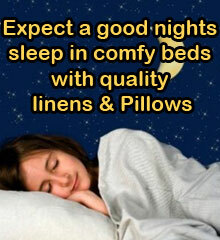 Services may not be available during the colder months. This is the gem of Southern Utah, and one of the nations oldest national parks. 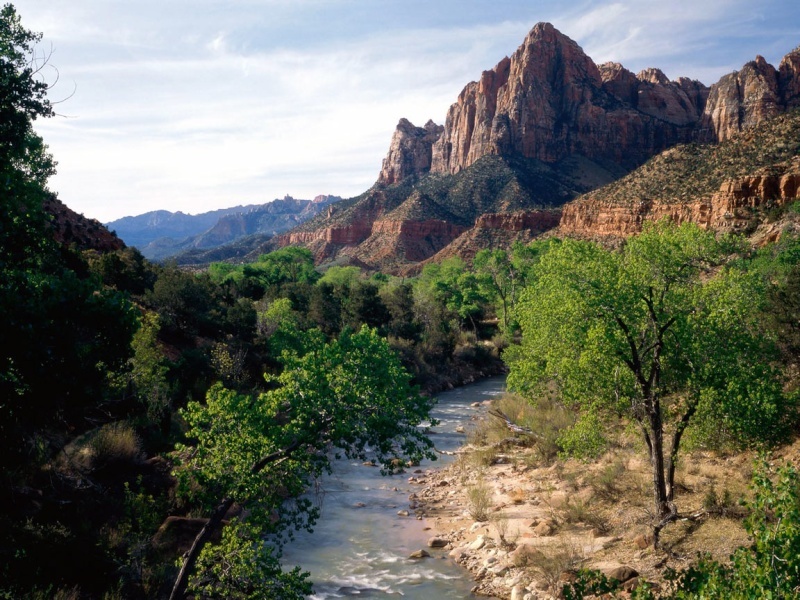 Zion is known for its incredible canyons and red rock vistas. Kanab is very close to Zion and provides a great starting point for many drives around the park. There are many famous hiking trails to choose from including Angel’s Lading and the Narrows, but you can also enjoy the emerald pools and weeping rock if you want something easier. The brilliantly colored amphitheater of Bryce Canyon is really quite the spectacle. Millions of years of wind, rain, snow and wind carved these pink cliffs into what you see today. There are lots of hikes and scenic drives to choose from, buut remember that Bryce Canyon’s top is at 8,000 feet and can be cold and showy in the winter, but very mild in the summer. This National Monument is located near Brian Head Ski Resort and is at over 10,000 feet high! It is similar to Bryce Canyon, but has more spectacular views and has over 150 species of wildflowers. 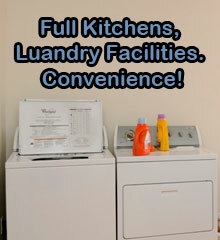 There are plenty of short hiking trails and a vistor center to keep you busy.